After spending 1 week in Taiwan I felt like I visited a more tropical and cultural cross between China and Japan. In Taiwan, the semi-tropical climate and environment provide beautiful beaches as well as breathtaking mountain ranges in Taroko National Park. There are literally so many things to do and see I was a little disappointed I wasn’t able to circumnavigate the entire island but the week I spent in Taipei, Keelung, Jiufen, and Hualien was incredible. I naturally started my 1 week in Taiwan by traveling around the countries capital city of Taipei. This modern city is filled with many cultural wonders and many excellent places to eat like the night markets Shiling and Raohe. I spent two full days exploring the city before heading to Keelung and Jiufen. I would recommend staying for 3 days or more even I was able to see many of the recommended places to visit in Taipei but was a little rushed. I spent 3 days in Taipei total and started by visiting the famous Taipei 101 tower. The Taipei 101 tower was actually the tallest building in the world until the Burj Kalifa was built, and then subsequent others. This blue and white octagonal temple was probably one of the coolest places I went to in Taipei. The memorial hall was created to commemorate the former president Chiang Kai-Shek and is definitely worth visiting. With a huge courtyard connecting it to the local opera and art museum adjacent to the memorial hall. To commemorate the national founding father Dr. Sun Yat-Sen’s and his unparalleled morality, and revolutionary conducts they erected this Memorial with beautiful flowers and cultural decorations and regular performances. After visiting the temples and tower I made my way back across town to the famous elephant hill viewpoint which is the best place to view the city skyline and sunsets. I was told by locals that this place usually has a long line all the way down the hill so it’s recommended to show up early. Fortunately for the weather forecast called for rain and I was also visiting during the week which resulted in much smaller crowds so I was able to get a great spot for Sunset. I spent my evenings at the famous Taipei night markets eating incredible exotic foods and other local fares. 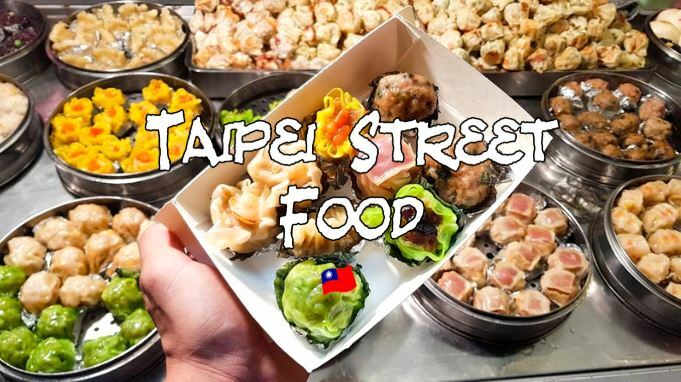 See my post here about Taipei street food. Keelung is a historically rich city which is known for its Ghost Festival which is put on not only to honor their dead ancestors but also those who died during years of war and invasions. This impressive hilltop alter has a small but cool museum inside with figurines and other information about these ancient Chinese traditions. I highly recommend hiking up the hill to this place and enjoying the classic architecture and panoramic views. The Keelung Night Market was one of my favorites for the sheer variety of food available. After exploring the town and hiking up the hill head down to the pedestrian-only Miaoku Night Market. For more about Taiwanese food, check out this post, Taipei Food 101. There were definitely some different food options available here that I don’t remember seeing elsewhere. So if you don’t mind walking and eating then head down here and grab some snacks! Jiufen was on the top of my Taiwan Bucketlist and is also super popular with the Japanese. This place is teeming with character and unique charm. The views from this mountainside destination are also breathtaking, to say the least. When you arrive it’s like practically going down the rabbit hole when you enter the narrow and crowded cobblestone alleyways of Jiufen Old Town and Shuqi Road. You’ll find that there’s a lot to take, I was literally looking left and right almost every step as new foods and souvenirs presented themselves. Many shops offer similarly good but when it comes to food there are things you must try like their specialty Taro Ball and Bean Dessert. Served either hot or cold, this is a must try the experience, plus the views aren’t bad either! For more on planning your visit to Jiufen, check out my post Jiufen Day Trip. I ended up heading east to visit Hualien and the incredible Taroko National Park. While there are nice beaches in Hualien and down south, having lived on an island in Thailand for so long I was yearning for some mountains and forests. Taroko did not disappoint! The entire park was filled with massive forest-covered mountains, deep ravines, unique bridges and sketchy narrow mountain roads with falling rocks signs everywhere. I ended up renting a scooter for 600 Taiwan Dollars ($20 USD) and riding solo for about 7 hours high up into the mountains from the Eternal Spring Temple to the Swallow Gratto, then to Tanxiang and onto Baiyan Falls, this trip was unforgettable. For more on this, you can check out my Taroko National Park post. Thanks for reading my “1 Week in Taiwan” blog post, please feel free to leave a comment below or on my Youtube. Follow my Instagram to keep up with my travels and subscribe to my blog for more travel tips and adventures.